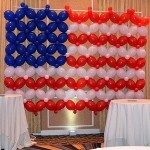 Balloon wall - American Flag. Can be done virtually any size. This particular one is 12' by 9'. 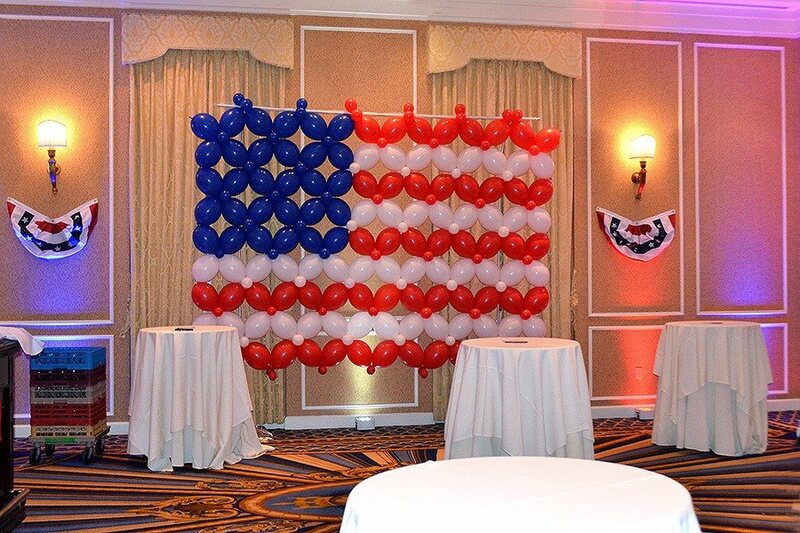 The flag like that (or any balloon wall for that matter) can be made on a support structure (like here) or, if much larger flag is needed, the helium filled can be done, it is a free standing model.